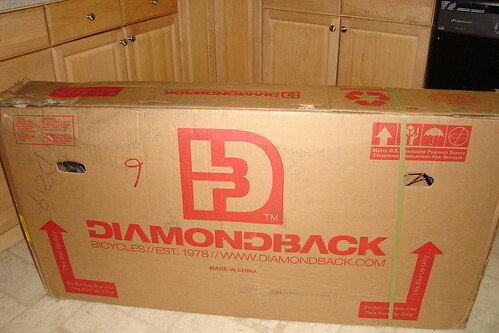 Yup, that’s right we scored ourselves a brand spankin’ new Diamondback Transporter. This beautiful box was waiting for me once I got home! 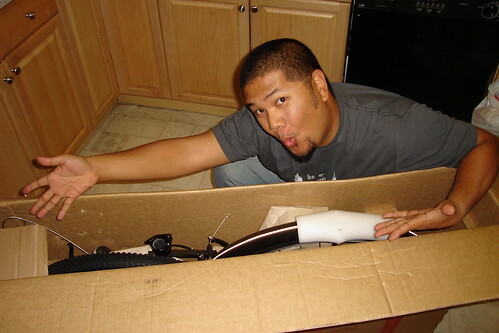 Ooooh Aahhhh….mmmm I love that new bike smell. 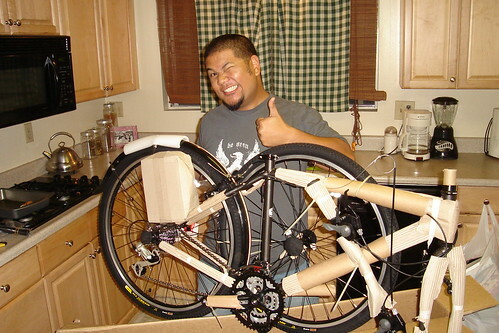 I yanked this bad boy out of the box and it gets a big thumbs up! 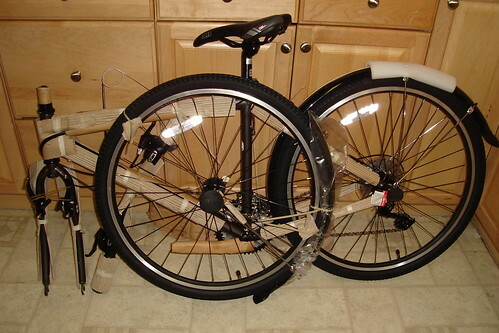 So how does this…become a bike? With magical-mechanic hands like mine…anything is possible! Check it out, here’s the real deal. Did you see the relective tape on the top tube? How about the fenders, did you check them out. They too have reflective tape on them. 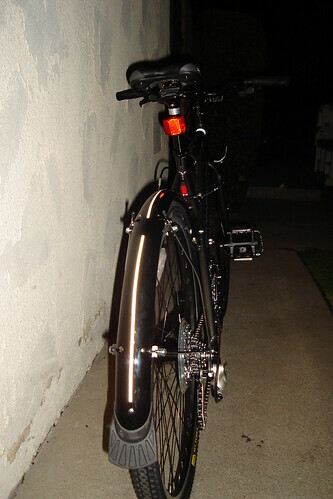 The reflective tape will come in handy when riding after work in the dark. 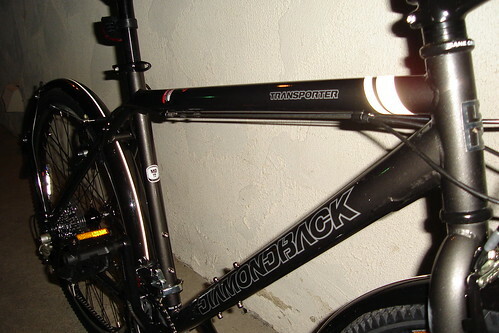 We’ll be testing out the Transporter, so stick around for the review. That looks like a great utility bike. Strip off all those gears and derailleurs and you’ll have a good bike! I love that bike. Will the fenders take a 2.0 tire? 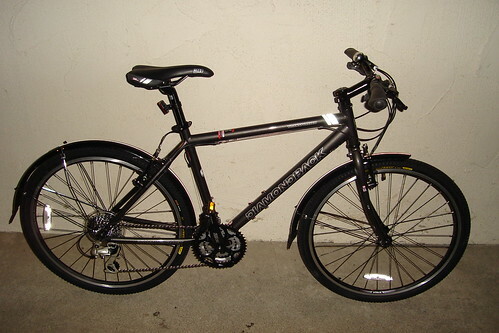 Are they the standard 60mm “mountain bike” width, or the 45mm “hybrid” width? Thanks! Like it. Are grip shift available. Could also use bar ends.